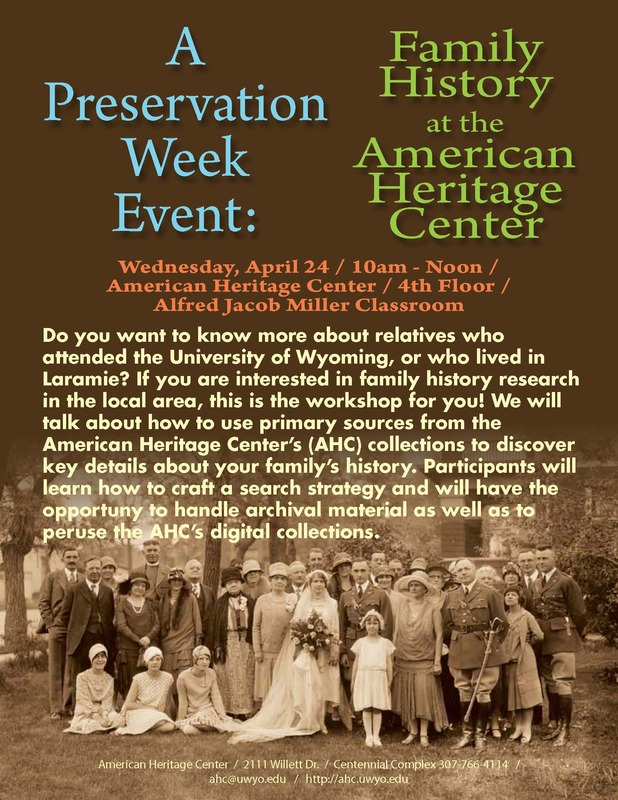 A Preservation Week Event: Family History @ the American Heritage Center! Join Reference Archivist Rachael Dreyer at for an exciting look at primary source collections that may shed new light on your family history research! What to bring: A curious mind and any questions that you might have about tracking down Laramie and Albany County ancestors! This entry was posted in events, Preservation Week and tagged Preservation Week. Bookmark the permalink.